I don’t know how I was lucky enough to find Lovejoy Photography while searching the web for a photographer to take pregnancy pictures, but I am so thankful that I did. Since then, she has taken newborn photos of our daughter, and I intend to use her as our photographer as our family grows. Candice is wonderful. She has a unique talent for creating stunning photographs that are perfect for enlargement and displaying in our home. When I get the proofs after a session, I have trouble selecting which ones to enlarge and print because I love them all! The photographs are truly works of art, not just people staring at a camera saying “cheese”. All of my friends and family who have seen her work cannot stop raving about how beautiful the pictures are. She is also incredibly patient and instructs you exactly how to stand or look for photos that make anyone look great. We never feel rushed and she is great with our baby. I am so happy to have found her and have been telling everyone to call her if they need pictures for any events or just to get some great family photos. Candice did my pregnancy, 6 month baby, and 2 year old photos. Each session lasted about an hour. She was fully prepared for each photo shoot, knowing the best spots and how the lighting would turn out. She understood the challenges of working with a small kiddo and really helped make my daughter smile. Her finished products turned out amazing! People would always say the photos looked like a magazine cover. I would definitely recommend her and will also use her again myself. Could not be more thrilled with our experience with Lovejoy Photography….start to finish! From the time that we contacted Candice with our interest to the last transaction, she was professional, prompt, and just a joy to work with. We were absolutely amazed at the images she was able to capture of our young daughter. 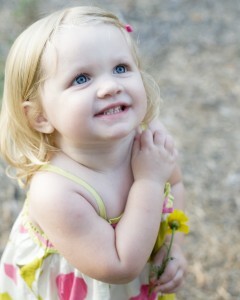 It’s not easy getting great shots of a two-year-old, but Candice gave us more than enough to choose from. And at such a reasonable price, we’ve been recommending her to everyone we know. Candice is simply amazing! She has been able to capture such special memories of our children and our family, and they will be pictures that we treasure always. We love her style and she is so easy to work with. We have used her for pregnancy photos, newborn photos for both of our 2 children, and a couple times for family photos. One time our older daughter who at the time was 2 1/2 was being somewhat difficult, and I was a little worried, but Candice was still able to catch her smiles and we loved the pictures. She never disappoints and we always have such a hard time choosing which ones because there are so many we LOVE!!! I highly recommend using her. We have been so pleased with Lovejoy Photography and we have used them for all our professional photography needs. I am thrilled to recommend them to anyone looking for an exceptional photographer. I look forward to seeing the pictures each time and I am never disappointed. I am so glad to have my daughter’s first year of life recorded in such a beautiful way. We recently had pregnancy photos and new born pictures taken as well. Lovejoy Photography really does meet your photo needs for all stages of life. Your pictures will be creative, fun, unique, and catching to the eye. 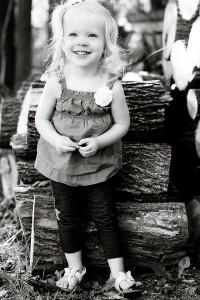 Candice does a great job at making you feel comfortable during the session and is great with kids too. My girls and I enjoyed our most recent photo shoot with Candice. I have always been impressed with her ability to connect and engage with children. We first used Candice for newborn photos. She came prepared with props and knows all of the calming techniques in working with newborns. I even learned some new mommy tips during our shoot:) At our last shoot my daughters were 16 months and 3 years old. This could have been a challenge but Candice was able to interact with my girls and brought out their little personalities. I am looking forward to a family shoot soon! Candice is extraordinary! Photo sessions are never easy, especially with young children. She makes you feel comfortable, makes the children laugh and everyone has fun. It’s always nice to order pictures of your family knowing the smiles are genuine. I will ALWAYS use Candice to capture my family memories. Candice has done an amazing job documenting the growth of our family over the past four years. We love her flexibility in scheduling and choosing shoot locations. We have been able to take photos in some gorgeous locations such as Laguna Beach, Casper’s Wilderness Park, The Environmental Nature Center,…we have loved each experience and will forever treasure the beautifully captured memories. Thank you Candice!